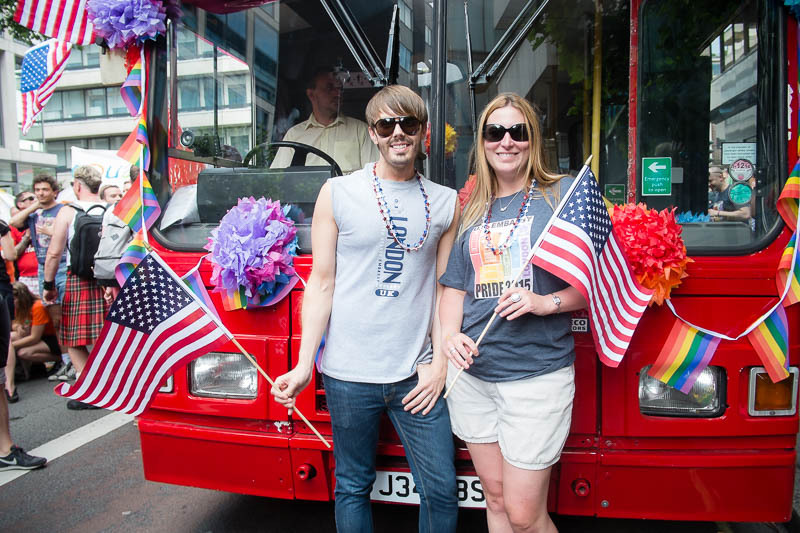 Happy Americans at London Pride celebrate the recent legalisation of gay marriage in the US. A big red bus full of Americans representing the US Embassy here in London took part in the days celebrations. Great to see that the American embassy took part in the event. Hurray for them! I'm glad they were there to celebrate. Good to see that the American Embassy followed up the good news! YES!!! Just needs Oz to catch up now. This has been a very big deal over here, with as many or more rainbow flags as American flags.